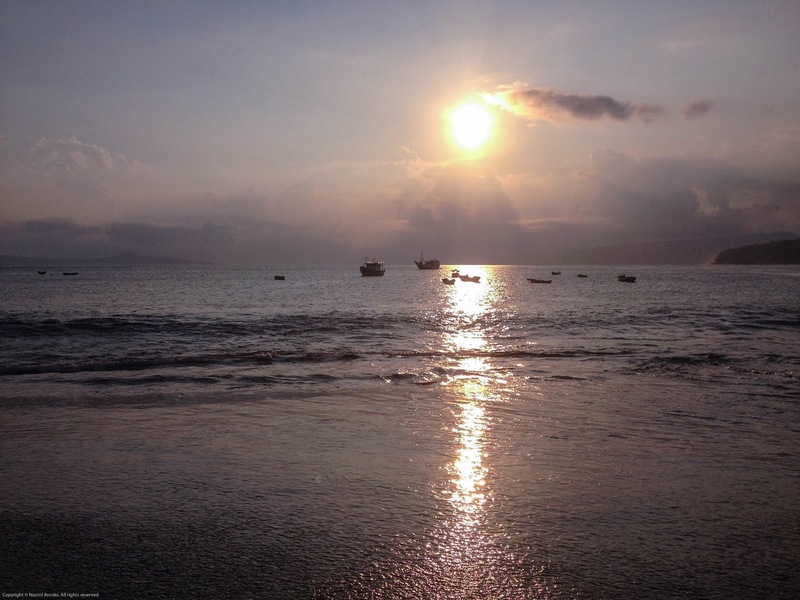 Travelling in Eastern Nusa Tenggara has been both exhilarating and extremely exhausting. The heat and high humidity saps all energy, in fact I don't think I've slept so much as I'm doing right now. But the travel has been hard, slow and uncomfortable, despite the amazing experiences, super friendly people, and new friends. It wasn't helped by developing a hacking cough after walking into the extremely smoky house at the homestay in Fatumnasi, a result of them cooking all day for the government visit. Or the fact that I've developed a really itchy scalp and I suspect it's headlice! I've even thought about packing it all in and returning home early. When your lifestyle is travel, versus just going on a vacation and returning back to your home and job, your perspective changes. You can't be continuously in motion, packing every day with things to see and do. You need to pace yourself, have days when you just read a book all morning, or watch movies, just like you would have down days back home. But often, even with pacing myself, I find that after a while I need to stop in one place for just a little longer and get grounded again. In particular, I know that if travel is getting me down I need to find a place I like and just stay there for a while. Last Indonesia trip it was Karimunjawa, this trip I'm finding my zen in Bajawa. I had a couple of lazy days in Kupang, catching up with Mika and enjoying some very nice food. 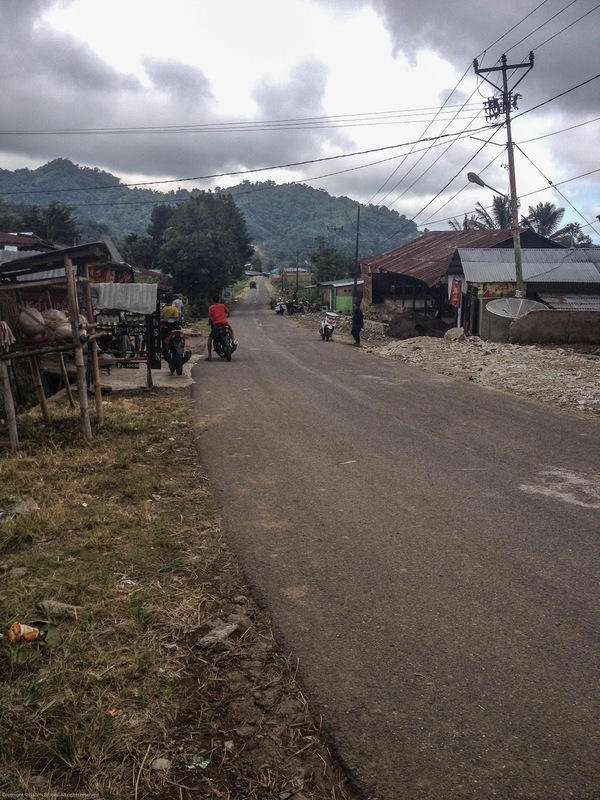 From Kupang I purchased a cheap flight to Maumere, where it had all started 6 weeks ago. I texted Theo to pick me up at the airport and there he was, a big tall friendly face amongst the transport mafia. 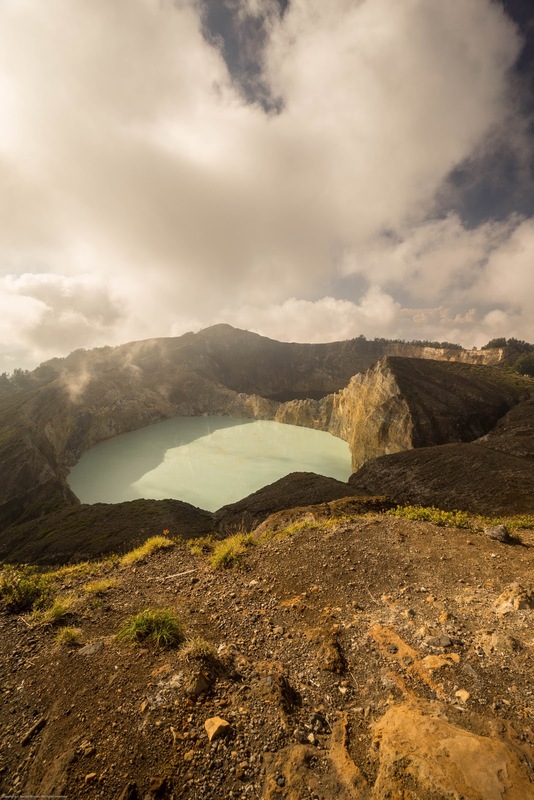 He took me to the bus terminal and I headed to Moni, to visit the Kelimutu Crater Lakes. Moni was nice, but it's just a dull strip of homestays lining the main highway, with overpriced boring food aimed at the Western palate. It wasn't a place to dig in for a few days. So I took a bus to Ende. I planned to spend a couple of days visiting villages nearby, hiring a motorbike to get around. But when the hotel staff were less than helpful in directing me to where I could hire one, and then the hire shop didn't open on Sunday morning I was left sweltering in the heat. Ende is quite a photogenic seaside town, surrounded by oceans and mountains, with an extensive market and very friendly people. If it hadn't been so hot, I would have chosen to stay longer. Instead I headed back up into the hills, where the climate is much more pleasant, to Bajawa. This is both a regional centre for the many Ngada villages surrounding it, and a bit of a tourist town. But most tourists will only stay a night or two at most, and there are many local restaurants as well as the tourist oriented ones, so it's a perfect spot for me to chill for a week. There are a number of traditional villages to visit, and it's a thriving textile region. There's also two rather large volcanoes to climb, one of them quite active. I'm not thinking I'll be bored or lacking things to do. But if I decide to do nothing for a couple of days then that's fine too. Travel can be punishing, both physically and mentally, and its so important to recognise when you've hit a wall, and just stop. And not beat yourself up thinking you are wasting days. You aren't, you're just taking a hard earned rest from the travel day job. We all have weekends when we don't get out of our pyjamas, this is my long term travel equivalent. I've cinched the deal by purchasing a flight to Labuan Bajo next Sunday. Rather than take an 11 hour bus ride I've opted for a 45 minute flight that cost me all of $20. That gives me a week to just chill, or go bag a couple more volcanoes…. Yes hearing you loud and clear. I always think travel is like real life.Peaks and lows and a lot of dull inbetween. Certainly travel can be stressful and at times harder when alone and also when budgeting too severely and then getting depressed at where you have to stay. Good idea to regroup. Good luck ! Oh the beauty of travelling now with a decent amount of money is I can splurge on luxuries when I want to. This trip I haven't actually had the choice to upgrade even if I'd wanted to, but that's because I chose to stay in villages rather than big towns that have hotels. My stay in Bajawa was lovely, exactly what I needed.